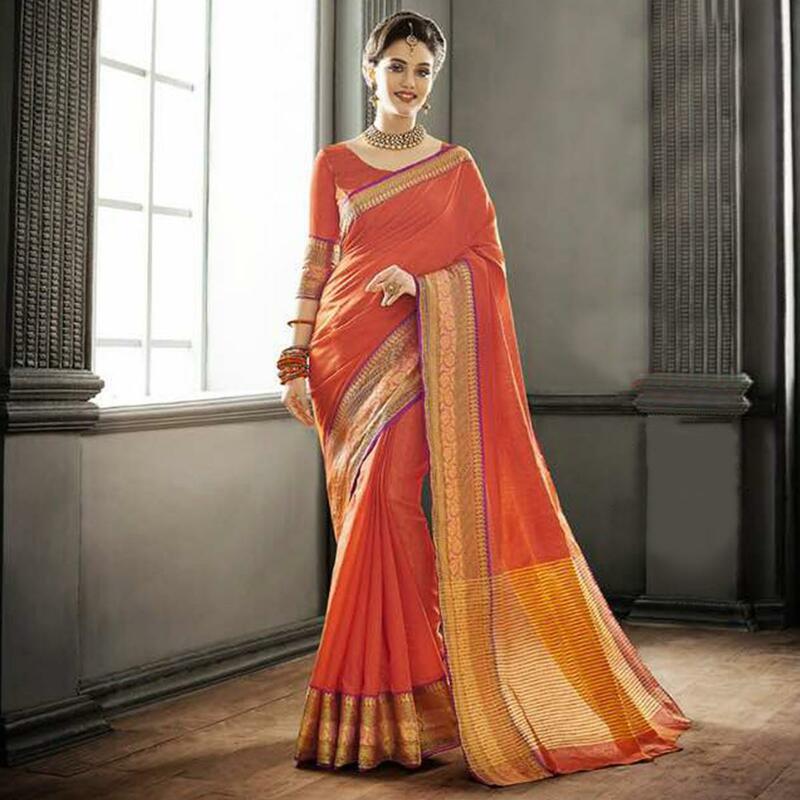 This orange color cotton silk saree has got weaving work floral and paisley design motifs at broad border. 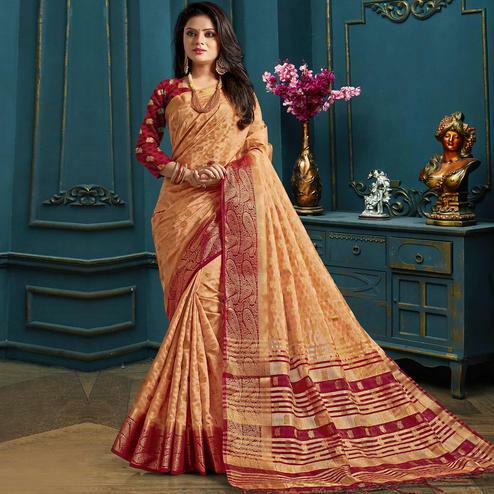 Saree paired with matching color cotton silk unstitched blouse piece having similar design work, which can be stitched as per your style & requirement. Ideal for traditional functions and festivals.